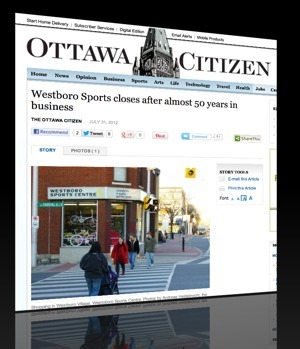 The Ottawa Citizen reported this week that after almost 50 years in Ottawa, Westboro Sports closes. The sporting goods store is a Westboro institution and has been in the Herbst family since 1964. Doug and Geoff Herbst bought the business from their parents 10 years ago. But in April, Doug Herbst died of pancreatic cancer.